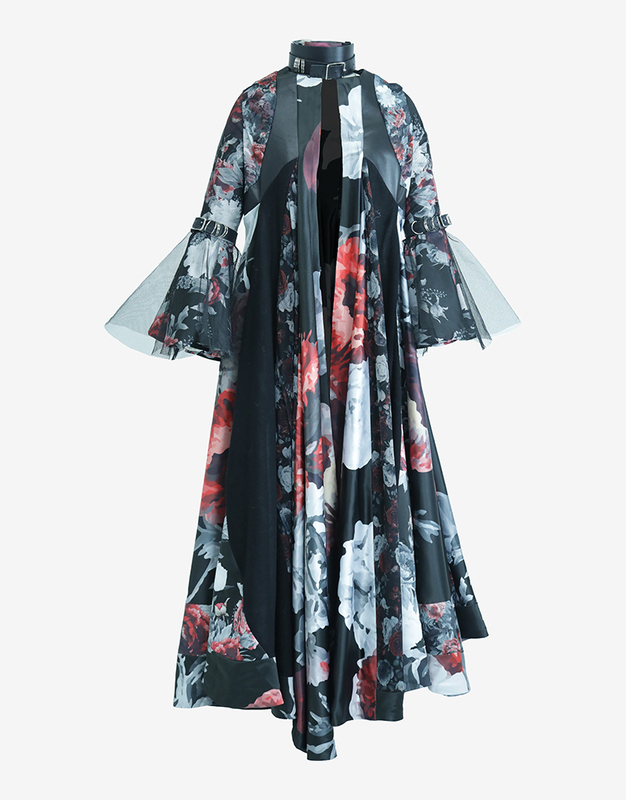 Our beautiful multi floral print coat has leather yoke contrast in the front and back. 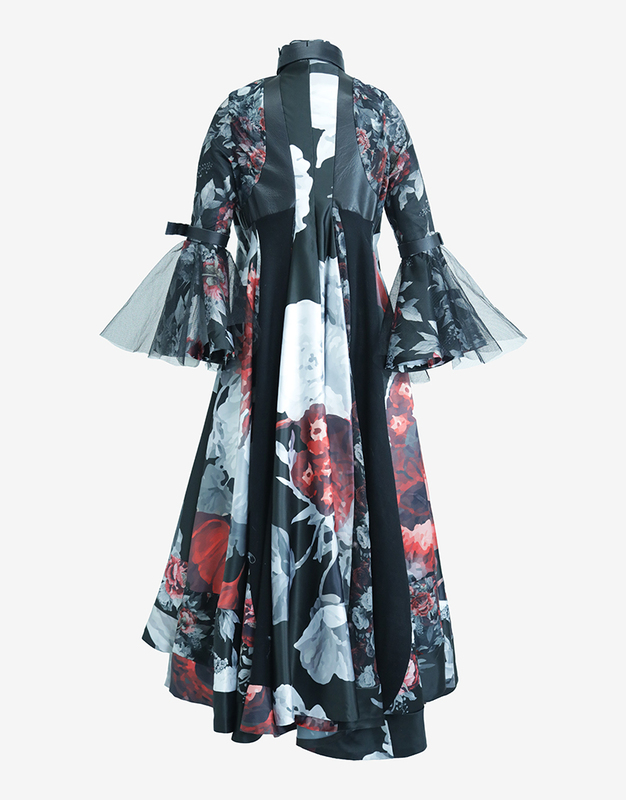 This piece has beautiful shapes hidden in the fullness of the coat. Fully lined with matte satin.